Creative thinking is the source of most great human inventions, works of art, and discoveries made throughout history. Professor Raphael DiLuzio, working at the University of Southern Maine (USM), is an artist who bridges traditional painting and drawing praxis with digital media. He has recently concluded work on a grant aimed at developing a pedagogy to infuse creative thinking into STEM education. 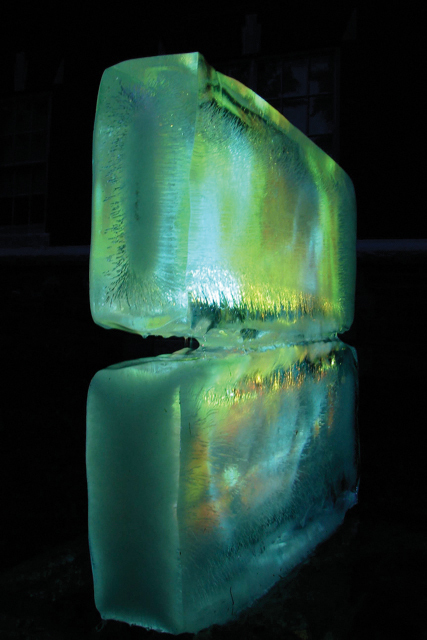 This has been done through, research, workshops and the design of courses in creativity. Creativity is a very important skill that can sometimes be overlooked, particularly by students and professionals operating outside of creative or artistic fields. Yet creation and discovery are at the core of innovation over the many centuries of human existence. All human inventions and breakthroughs are the direct result of the creative act, the innate human ability to create something out of nothing or solve complex problems through the use of imagination and ‘original’ thought. Almost all educational institutions worldwide try, among other things, to foster creative thinking in students, hoping that they will eventually develop their creative potential to the fullest, coming up with innovative ideas and approaches to solving the many problems of society. However, the creative process itself is often not actively and explicitly included as an independent discipline in most institutions’ academic programmes. Generally, the teaching and fostering of creativity is primarily limited to the Fine Arts and Design, as well as to other specific areas of the Humanities, such as creative writing. There is much ongoing debate as to whether creativity is a habit of the mind or an isolated type of intelligence. Several psychologists have proposed that human beings have a considerable number of different intelligences, with some researchers considering creativity or creative intelligence to be one of these. Professor Raphael DiLuzio, an artist and associate professor at the University of Southern Maine, has been largely studying and theorising about the creative process and creative thinking, developing models that could foster creativity in students and individuals worldwide. In 2013, Professor DiLuzio was awarded a grant by the National Science Foundation (NSF) for a project particularly aimed at teaching creativity and fostering creative thinking in the areas of Science, Technology, Engineering and Mathematics (STEM) education. ‘I want to engage people and help them to realise they are all creative thinkers,’ he adds. The training method devised by him is based on the assumption that while creative thinking and problem-solving may be innate aspects of human nature, they can be enhanced throughout an individual’s lifespan through teaching and experience. According to Professor DiLuzio, there are two main types of creativity, one that could be described as the ‘Grand Act’, the process used when coming up with an innovative idea, and the other as the ‘Small Act’, comprised of all minor day-to-day actions, changes, decisions, or conversations that path the way towards the creation of new constructs or solutions. In one of his papers describing the project, Professor DiLuzio says that, ‘we assert that as a species, we are inventors down to our very core. We are tool makers, problem solvers, and dreamers. Whether by accident or design, we all engage in the creative act – grand or small – on a regular basis.’ The workshops, lectures, and training programmes developed by him try to address the complex task of defining and enhancing the process of creation in individuals from all kinds of academic and cultural backgrounds. The principal goal of the project funded by the NSF is to expand the understanding of creative thinking as a dimension of undergraduate coursework in STEM faculties, ultimately creating opportunities in which students can train to improve their creative abilities. This is done by engaging faculty in intensive creative thinking workshops, introducing them to techniques that could stimulate creativity, which could later be included in their course material. So far, Professor DiLuzio’s workshops have brought together faculty members from the Departments of Applied Medical Sciences; Environmental Science; Exercise, Health, and Sports Sciences; Biology; Computer Science; Mechanical Engineering; and Technology, at the University of Southern Maine. Participants were taught techniques and strategies to create modules that combine creative thinking with material from existing STEM academic curricula that they could then incorporate into their classes. The workshops were ultimately aimed at helping the teachers to develop their students’ creative thinking and fostering mindsets that value innovation, while also teaching them new ways of integrating creativity into their daily work. The techniques used in Professor DiLuzio’s creative thinking workshops are based on prior literary discourse and on his very own theories about creativity. Taking inspiration from a range of works that includes Plato’s Theaetetus dialogue about the nature of knowledge to The Art of Thought, a seminal work, by Graham Wallas, DiLuzio combines them with his own research and experience, he concludes that the creative process could be thought of as having seven stages. The first stage involves preparing or framing the question that the creating individual is trying to address with a solution or idea. This is the period during which the problem is identified, and it involves learning how to ask the right question, before getting started on the actual process of creation. After that comes the stage of researching and learning more about the problem of interest. According to Professor DiLuzio, this should be done in moderation, to ensure sufficient preparation to cover all relevant aspects of the problem, without getting lost in an overwhelming amount of detail. The third stage of the creative process is defined as ‘incubation’ or the phase in which an individual thinker lets the question and all related information he or she has acquired sink in, allowing the subconscious to work on it and make new associations. The stage that follows the ‘Eureka moment’, arguably the most challenging one, is actual creation, the period in which an idea is brought into the world. This phase is particularly challenging as it often entails a significant amount of self-doubt and fear of failure, associated with the possibility that the idea might not be as successful or effective in real life. The sixth stage of the creative process involves receiving feedback or criticism from others on the object of creation. The seventh stage involves the iterative process by either re-working the creation or reevaluating it in terms of its relevance and effectiveness. After which, the creator releases or applies their creation to real life, whether that means releasing a product to the public or publishing or exhibiting a work of art. It is important to note that these stages are not necessarily linear as one can start at the Eureka moment and work backwards and so forth. These seven stages are re-affirmed throughout many of Professor DiLuzio’s current class in creativity, lectures and workshops, to help individuals enhance their understanding and application of their creative process. The ‘Infusing creative thinking in STEM education’ project merely represents a small part of Professor DiLuzio’s wide array of artistic creations and academic experiences. Throughout his life, he has sought diverse ways of applying his creativity, publishing several theories on time-based painting and creative thinking, while also producing art, and experimenting in the entrepreneurial world. 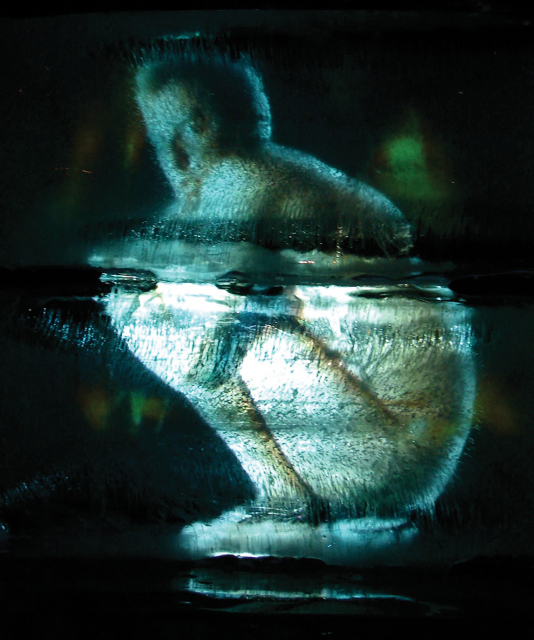 Professor DiLuzio has produced numerous time-based projected paintings, reconnecting his traditional painting skills with contemporary digital media. Meanwhile, he has placed extensive efforts in trying to enhance creative thinking in individuals from all kinds of backgrounds, through a series of talks, workshops, and courses worldwide. An in-depth evaluation of the, ‘Infusing creative thinking in STEM education’ project, has been completed. Pre- and post-workshop surveys answered by participating faculty members revealed an overall increase in their perceived importance of creativity (both generally and specific to STEM subjects), as well as greater comfort and perceived preparation in teaching creative thinking as part of their courses. Overall, participants were very enthusiastic during the workshops and went on to introduce a creative thinking module within the curriculum taught to their classes following participation in the workshop. 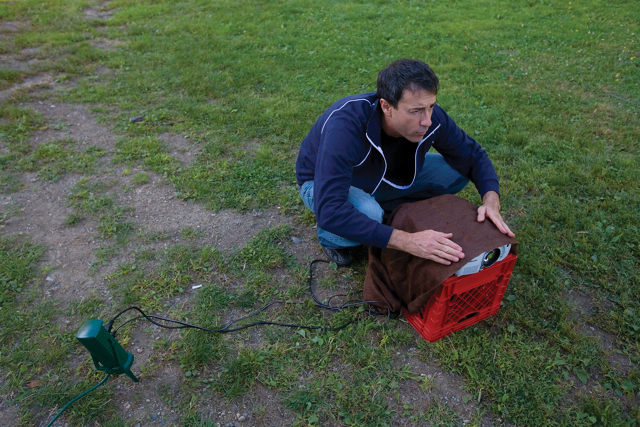 The project’s results are now being observed on a larger scale through DiLuzio’s live and online version of the course in creativity at the University of Southern Maine and workshops conducted at the Ci2 Concept Research Lab, that Professor DiLuzio founded and established to foster further creative work by STEM students at USM. Professor DiLuzio’s research serves as a unique and inspirational example of how creative thinking could be brought into a greater number of classrooms and learning environments worldwide. Professor DiLuzio is now working on a book about his ideas and beginning this summer he will be giving a series of lectures at a number of universities. 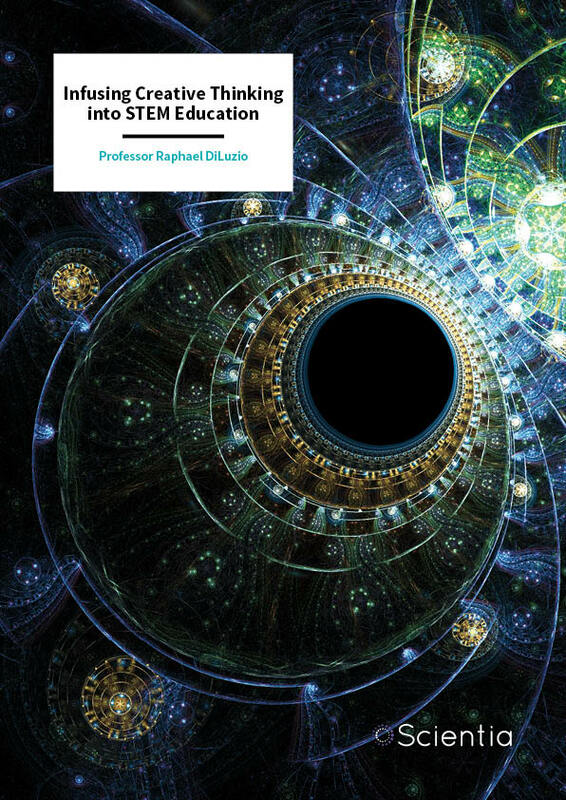 Initiatives like the one devised by Professor DiLuzio could help to ensure that future generations are not only academically and professionally trained but are also filled with the timeless wonder and vision that has allowed our species to create, innovate, and transform society throughout our existence. 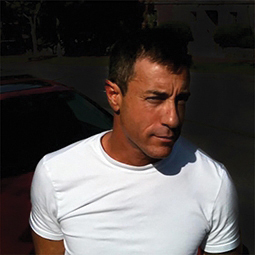 Raphael DiLuzio is an artist, writer, entrepreneur, and professor of Digital Art and Design, as well as the developer and Director of the Ci2 SRS Learning Lab at the University of Southern Maine. 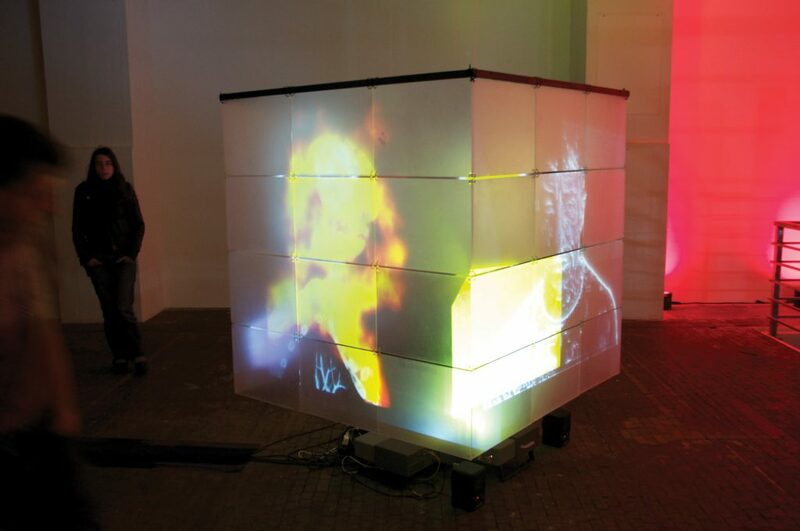 His work explores ways of reconnecting traditional studio art with digital media produced using contemporary technology. As an artist, he considers himself to be a visualiser, merging traditional painting and drawing with digital and interactive media, to create impactful artwork that is exhibited internationally. In 2013, Professor DiLuzio was awarded a grant by the National Science Foundation (NSF) to develop his method of teaching Creative Process Thinking to Science, Technology, Engineering, and Mathematics (STEM) professors, students, and other individuals with no prior engagement in art. He has published several papers and theories on Creative Process, Creative Intelligence, Design Science, and working with time-based media, as well as critical examinations of how current and emerging technology affects arts and culture. Professor DiLuzio has founded three start-ups and has participated in a series of international conferences, lectures, and events. He has also given a TED Talk about some of his ideas and conducted workshops to encourage the creative processes of higher education students and individuals worldwide. R DiLuzio and C Bates Congdon, Infusing the Creative-Thinking Process Into Undergraduate STEM Education: An Overview, 2015, 5th IEEE Integrated STEM Conference, Princeton University, Princeton, New Jersey, USA. R DiLuzio, Chapter IX: Broken Cinema: The Eye and Hand in a TimeBased Art, in The Handbook of Research on Computational Arts and Creative Informatics, Edited by: J Braman, G Traikovski, and G Vincenti, 2009–2010, Towend University, 2IGS International. R DiLuzio, Vjing, Edited by: M Shmalstieg, 2011, Grayscale Press, Geneva, Switzerland.